Roger joined AHJ in 2000 and was appointed to the board in the same year. 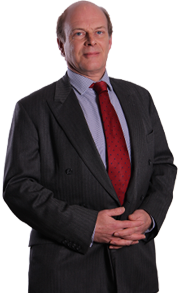 He has been involved in all aspects of Non-Marine Treaty and Facultative reinsurance business since 1977. For many years Roger has specialised in reinsurance emanating from the Nordic region, with a particular emphasis on Accident, Motor and Casualty classes. Roger currently serves on the Brokers Reinsurance Committee of the London and International Reinsurance Brokers’ Association. He is also a Trustee of the AHJ Pension and Assurance Scheme. Roger has been a Director of AHJ Holdings since 2006 and was appointed as Chairman of AHJ Holdings and AHJ Limited in 2017.